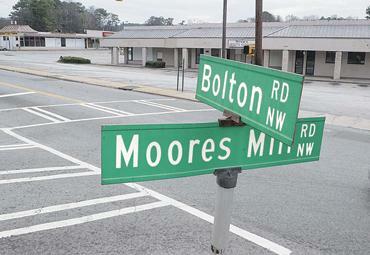 Could the long-promised Publix and redevelopment of the old Moores Mill Center at the corner of Bolton and Moores Mill Roads actually be happening? A court decision on Monday dismissed the lawsuit that was filed against the development and cleared the way for construction to begin. Nearby residents off Moores Mill and in Adams Crossing and Dupont Commons are very thankful that the upgrades will make their homes more attractive to buyers.